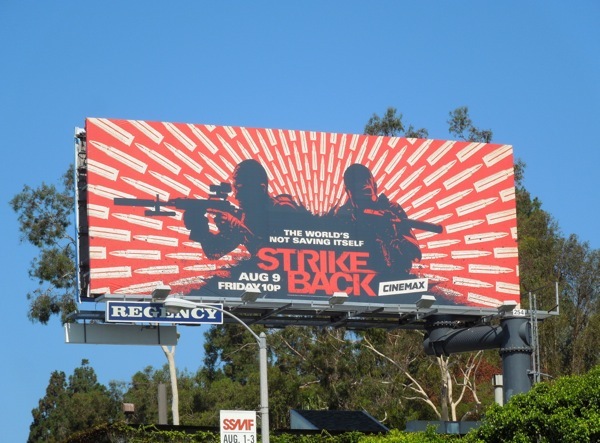 What better way to start another exciting week at Daily Billboard, than with a very visually striking creative for the third season of Cinemax's Strike Back. 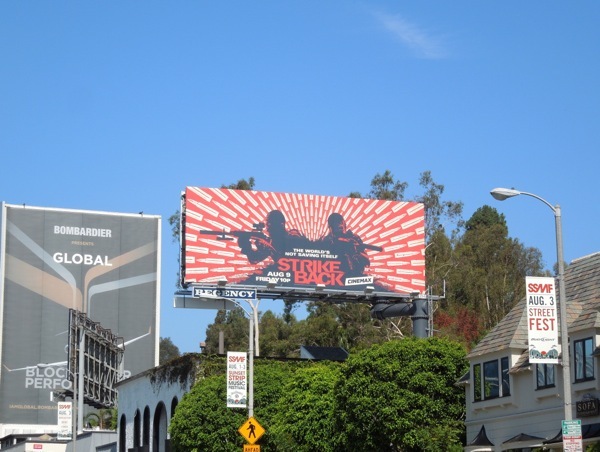 There's a real war propaganda poster feel to this season three ad creative and it marks a real departure from the look of the first two season billboards for the military special ops action series, which had a much more classic 'tough guys and guns' look. 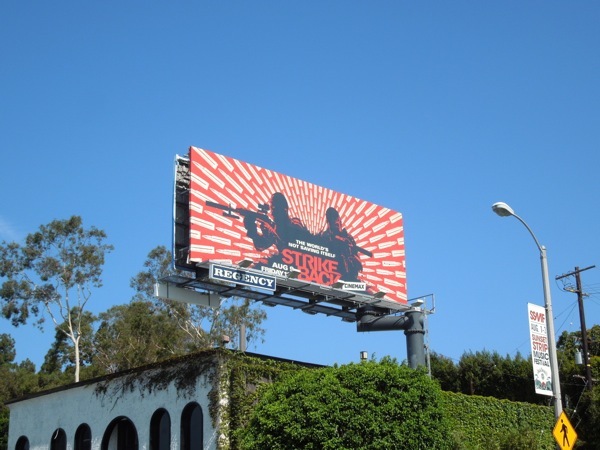 Be sure to take a look at the season one and two Strike Back billboards to compare the design styles. 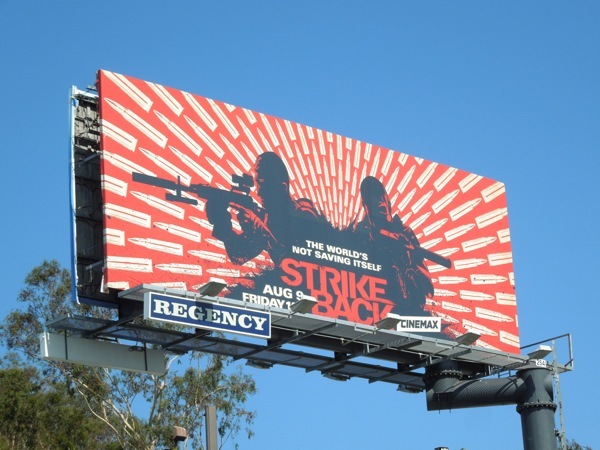 Philip Winchester and Sullivan Stapleton return as the stealth counterterrorism operatives from Section 20, 'Sgt, Michael Stonebridge' and 'Sgt. Damien Scott', and in this explosive new season their unit will pursue a deadly terrorist network from Columbia to Lebanon and Eastern Europe, in order to prevent lethal attacks on Western civilisation. 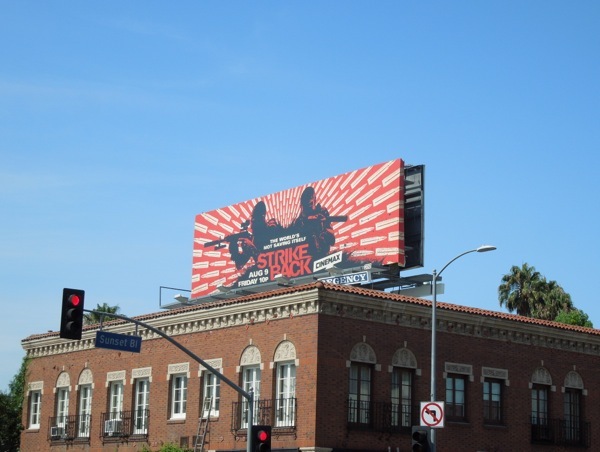 These eye-catching billboards for the returning Cinemax series were spied along Sunset Boulevard in two different locations on July 24, 2013. 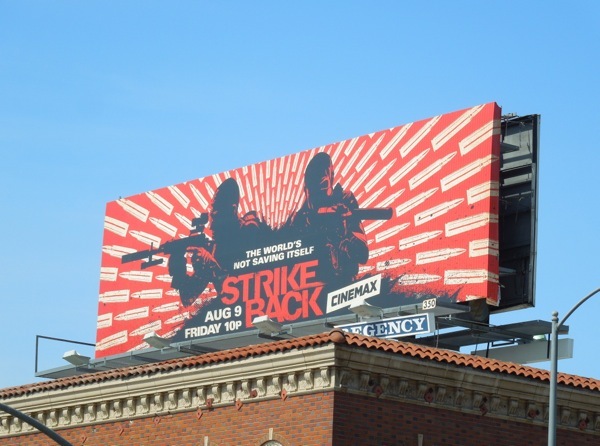 And remember, 'The world's not saving itself'.